The restaurant industry has always been very competitive which makes the need for unique restaurant marketing strategies so vital. With so many options available, make your business the talk of the town with our restaurant marketing ideas that will allow you to stand out amongst the competition. Using professional video production and digital advertising with us at Epic, one of the top video production companies in Arizona, you will see an increase of customers walking through your doors. Epic has worked with many clients in the industry, so if you need videos for social media advertising or for your website, we have you covered. Every restaurant is unique, which means your individual marketing strategy must be too. Take a look at these creative restaurant marketing strategies and ideas put into action with past clients. One of our more recent projects was with Rehab Burger Therapy, a popular burger joint with locations in Scottsdale, Tempe and Phoenix. Our goal while developing this restaurant marketing strategy was to show off their fun, relaxed atmosphere and award-winning food. This 30-second video is ideal for social media advertising as well as YouTube marketing. When marketing on both platforms, short, bite-sized videos are key. Also, this video can be used in many other digital marketing platforms as well like their website. 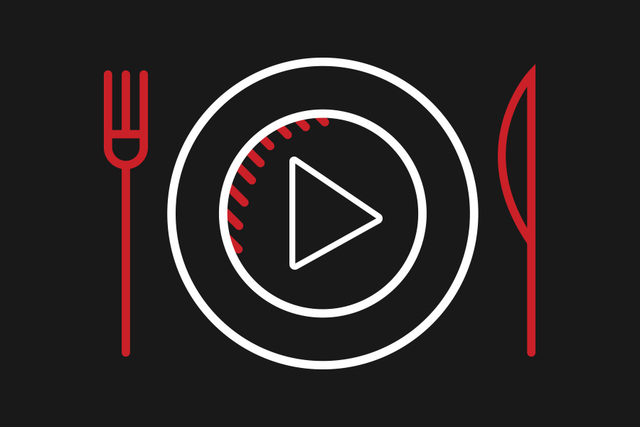 Video is the perfect way to show items on the menu, giving viewers an experience before even stepping in the door. For every restaurant marketing video, we consider the specific goals and attributes of the business. With Fat Ox, we focused on the craft of the food as it’s a chef-driven restaurant. In addition, the owner and chef himself spoke about the restaurant and what makes it so special. Paired with professional video production visuals, this restaurant marketing strategy reaches their audience perfectly. Along with a glimpse of the restaurant, we also look into the process of preparing meals and get a behind the scenes look in the kitchen. This restaurant marketing video captivates viewers instantly with the art and attention that goes into every plate. Another restaurant marketing idea is from our client Craft 64. They are a local beer, wine and pizza joint and had a vision to really capture their laid-back vibe. As a local Scottsdale eatery, the restaurant promotion idea and approach centered around their local ingredients and large selection of beers. Then, to gain rapport, Craft 64 highlighted reputable reviews and awards they’ve received. This restaurant marketing strategy is helpful for small or new restaurants looking to gain traffic from locals. The best restaurant promotional videos are versatile and can be promoted on many different digital marketing platforms, reaching the largest audience possible. Next, this restaurant marketing idea takes viewers on a date night at EVO. Here we focus more on the experience of enjoying a romantic night at this restaurant and the impeccable ambiance they provide. Whether it’s a night on the town or date night for two, EVO is the place to go. From the cozy Italian atmosphere to the mouthwatering food selection, this style of marketing is sure to entice new customers. As a full-service video production company, we not only create captivating videos, but strategically place them online in front of the right viewers and target audience. For Old Town Tortilla Factory, our professional video production team created this promotional video to showcase the many aspects of the restaurant. To reach their audience, the restaurant marketing strategy was to highlight the unique cuisine and cozy location. Video marketing is the perfect way to show their large patio that’s great for parties all year round. The goal of the video was to entice customers and set them apart from competition. Now that they have a video like this, it’s easy to promote their incredible outdoor patio, signature margaritas, and one-of-a-kind service. These are some of the many examples on how to improve your restaurant marketing strategy through video. Professional video production is the perfect way to catch the eyes of potential customers. The Epic team does it all, from start to finish. From the initial concept and storyboarding to production and digital marketing, we do it all! Take a look at past examples of our work with industries of all types and sizes. What does your next video project look like? Let us know and let’s get started on it!